So about nine weeks ago (Instagram-time) I saw a sneak peek of this bold printed fabric on my Instagram feed—posted by the brand Covered By Sipi Alidrus, who's also the brand responsible for this super cool space-age shawl—and I immediately thought "OK whatever that's going to turn out to be, it should belong in my closet". Fast forwarded a few weeks and they unveiled this long cardigan, and, I mean, look at it... Uhbsessed, guys. 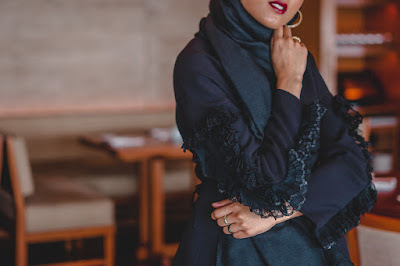 I'm always looking for a piece of clothing that's a little different, that has that something special about it, and I love how this cardigan fits the bill. 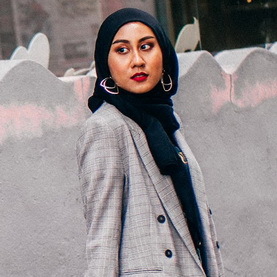 I was wearing a simple black t-shirt and plain black jeans with Adidas trainers on, but the moment I added this printed Hanaa cardigan, my whole look was instantly transformed and elevated onto a whole other level. By the way, this clutch—you in? You hatin'? Because I'm kind of weirdly seriously into it. 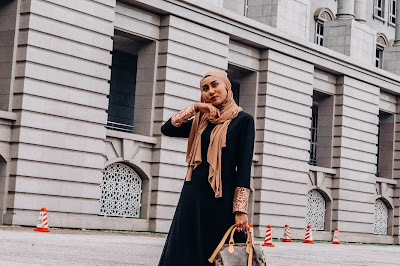 So, about this badass Hanaa cardigan; it's priced at RM 115 at the moment but use this code: LIYANA15 when you're getting your very own Hanaa cardigan from Covered By Sipi Alidrus and you'll automatically get a sweet 15% off! 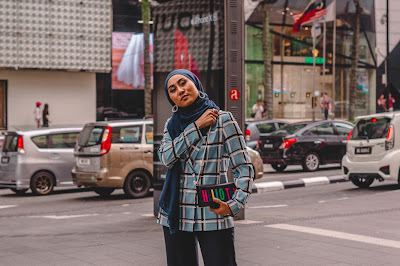 This Hanaa cardigan comes in different colours and also in tie-dyed prints, which you can check out at their official Instagram page @coveredbysipi. 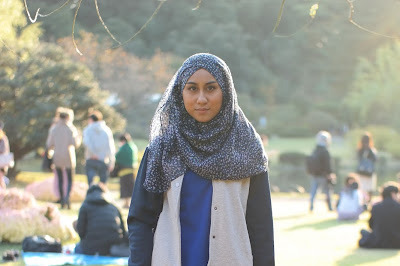 The code LIYANA15 is applicable to ALL of their Hanaa cardigans! Whatsapp or message the Covered team at this number: +6012-6237713 and place your order (or orders, your call, they've got other cute stuff too!) and simply type something like "I want to use the code LIYANA15 to get my 15% off!" when you're ordering, or you could just literally type "LIYANA15" and still get your discount! This code is valid until the end of November, guys, but I was told they have less than 40 pieces of Hanaa cardigan, so, maybe hurry up and get it real soon?